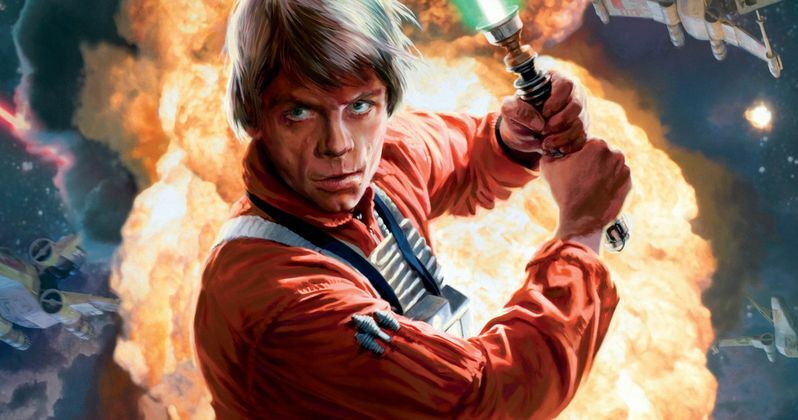 Has the Star Wars: Episode VII Plot Been Revealed? Badass Digest has uncovered new plot details for Star Wars: Episode VII that gives us new insight into John Boyega and Daisy Ridley's characters and the quest they go on. If you want to avoid any mild spoilers, or if you don't want to know anything at all about the plot of Star Wars: Episode VII, stop reading right now. If not, take a look at the plot description below. Imagine the standard Star Wars crawl, and when it ends the camera pans up to the stars. But instead of a spaceship zooming into frame we see... a hand! A severed hand, tumbling through space. A severed hand gripping a light saber. In many ways this plot of Episode VII is an echo of A New Hope. Instead of R2 coming to Tatooine it's a hand falling from the sky, but the basic sweep of the story is similar, and intentionally so. But things that seem familiar may not be as familiar as you think - don't assume that every ice or desert planet in the galaxy has already been visited, if you know what I'm saying. The site goes on to reveal that they have heard "extremely positive things about the action, and very, very good things about the characters themselves and the way the actors are bringing them to life," while stating that "John Boyega owns this movie." Are you excited about these new story details? Chime in with your thoughts below, and stay tuned for more information as Star Wars: Episode VII continues production in London, under the direction of J.J. Abrams.